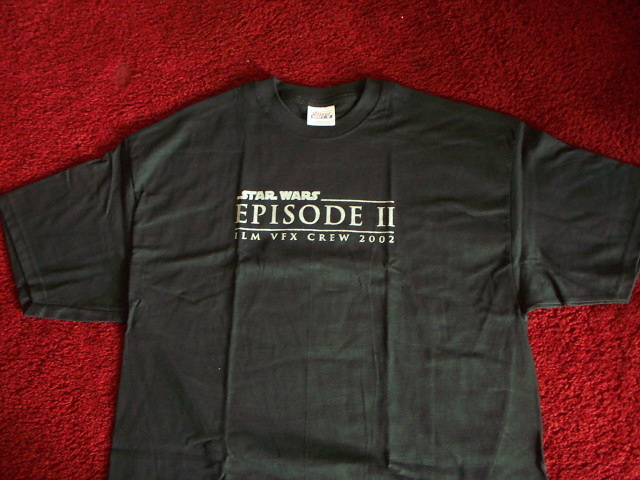 A classic style ILM VFX crew t shirt. Note the bottom of the classic logo has been altered to read: "ILM VFX Crew 2002". The back of the shirt features an embroidered Old Republic logo.